5 Virtual Worlds to Build a Family In Artykuł - Wirtualne Światy! Oceń ten Artykuł Virtual worlds are not just all fun and games. Some of them are closer to real life responsibilities -- like starting a family. Learn more about five great virtual worlds where you can forge relationships and create marriages where families grow. 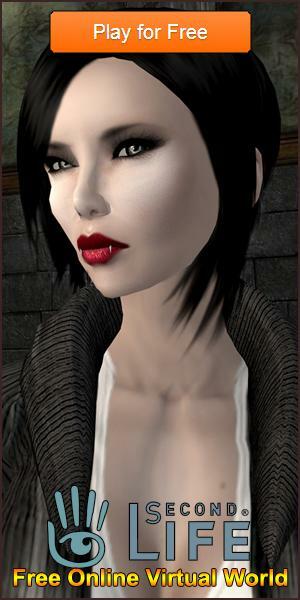 In addition to dating and hanging out with friends, virtual worlds are also a place where you can start a family. When social virtual worlds allow you to start a family of your own, it makes the game more interesting and definitely more expansive in terms of the things you can do, especially with your virtual kids. Here are five virtual worlds that enable you to create a family inside its world. 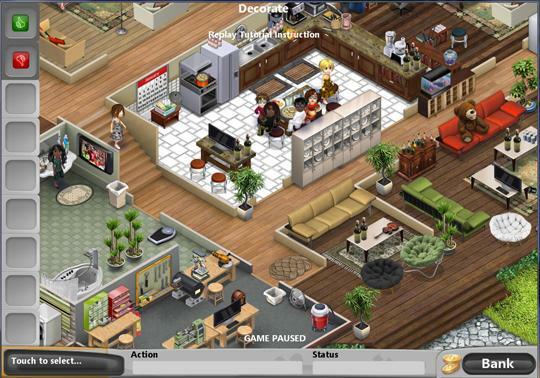 The Sims Free Play is one of the very first virtual world games, and it has grown to be a powerhouse in its genre. It’s free to play in mobile, and it has all game features available to other platforms. In The Sims Free Play, it takes a while for Sims to get married and have a baby, and it will happen in stages from dating, engagement, getting married and moving in. When two Sims get married, a new section will open in the Home Shop for the Nursery, and you need to place a crib inside the house to add a baby. When a baby is added, you can choose its gender, appearance, clothing and of course, give it a name! You can do all baby-related tasks by tapping on the crib. Eventually the baby will grow and become a toddler, which will change the things that you can do as a parent. 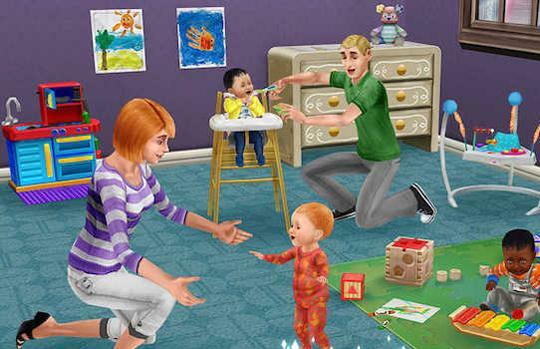 In this Sims-inspired virtual world, starting a family happens at the very start of the game. In Virtual Families, a character in the game is called an adoptee. Each adoptee can select a partner to move in with them. They can choose the personality of their future spouse, including their desire to have children. When a match happens, the spouse moves in and they can get married. The couple can now “try” to have a baby, but sometimes it’s not always successful. When couples fail to have a baby, there’s a baby booster medicine that they can buy from the store. The couple will also need to work to feed their family, take care of medical needs, house repairs and other expenses. The game works in real-time, so players need to make sure that their characters are nourished and rested or else they’ll get sick or pass away. Ultimately, the first home inhabitants will pass on the home to their children, or have new adoptees move in. Virtual Families 2 is a more polished version of its predecessor. Unlike the first release, players can now repurpose a room as they wish when it’s no longer in use – for instance, when a kid moves out and goes to college. Players can also upgrade or “re-train” their characters to acquire new skills. The Store also holds more furniture, decorations and other accessories in addition to the grocery and medicine items. The other elements of the game remain the same – adoptees can select a spouse and start a family, get jobs, earn income and manage their home until their kids (or new tenants) take over. Family House is a wholesome, simple and kid-safe virtual game designed for young children. With its cartoonish but nice graphics and basic animations, kids and the young-at-heart can restore an old house back into its former glory while inviting family members to move in. 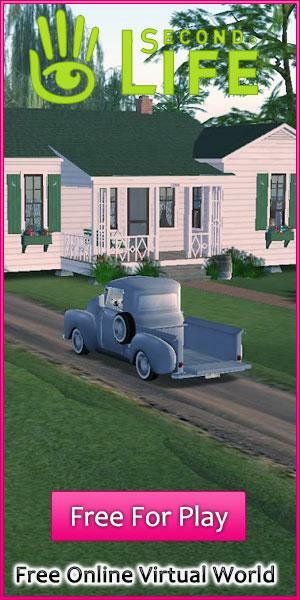 Players can customize their avatars before moving in to the old house. The choices for clothing and body features are rather wide and very cute! When you’re in the house, you are given your own room. Later on, you can add rooms for your family to live in. Each room has a Rental Revenue, and this is how you’ll earn the game’s currency. It’s great for teaching kids the value of family and taking care of their home. Happy Family is a building simulation game that starts off with parents and two kids – an older sister and a younger brother. You can build things like a slide, toolshed and a summer house. Mom and Dad will take turns cutting trees and feeding ducks, while brother and sister can play outside the house. 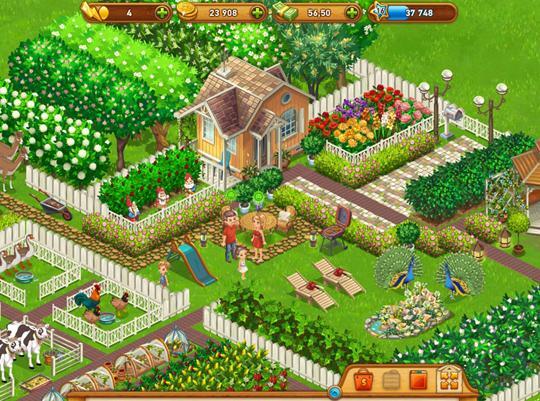 It’s another family-oriented game, but focuses on building and completing quests to improve the home and its surroundings. Family-building games are fun and always interesting for both adult and kids. For adults, it gives a reprieve from the troubles of daily life, while children can learn about the importance of a happy home. Regardless of age, creating your own family in the virtual world reflects your own values and aspirations for your real family, and maybe even help improve your relationships with family members in the real world.